Batt Moriarty\n97 Years of age. Cork No. 4 Brigade. Intelligence Officer. 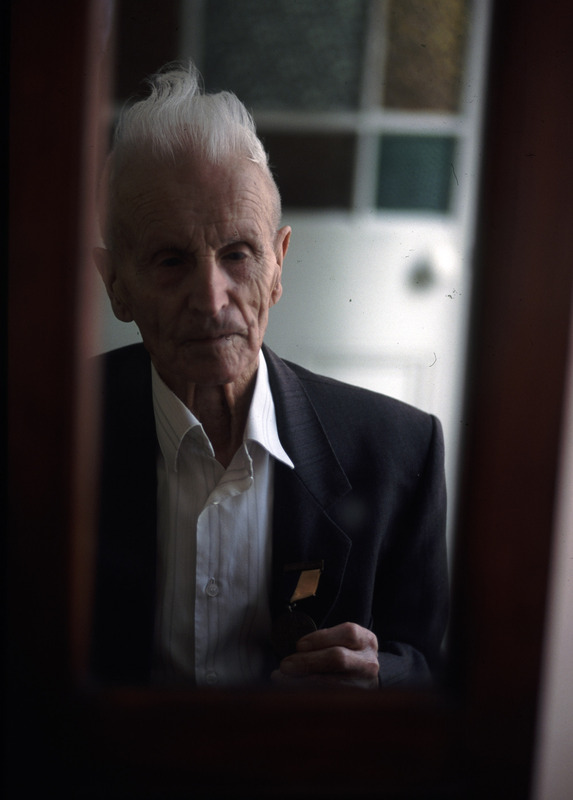 IRA 1918-1923\nBatt Moriarty at home in County Cork wearing his "Black and Tan" medal awarded to IRA men who fought in Ireland's War of Independence with Britain. In fact many Republicans eligible for the honour refused to accept the medal, as it was bequeathed by the Free State government they remained opposed to and fought against in the civil war.